... You guys should really get an affiliate program together. I would love to promote UpWork to business owners as a resource. I'm constantly surprised by how many people have never heard of you guys! I have three job websites with 750k monthly pageviews combined. Would love to be a part of the affiliate program with an API access to bring more people to apply to your jobs if you ever launch it. It's a sahem that you don't have affiliate program. I'm using upwork for 5 years and would have recommended it but becuase you don't have affiliate program we'll need to point to other platfrom who has affiliate program. Upwork really needs to get an affiliate program. I advertise to get clients directly Upwork is just one more source of business for me but I would rather have my clients join Upwork and hire me here to simplify my billing and management, I would do it if there was an affiliate program but I won't generate you clients for free, same way you don't give us clients for free. 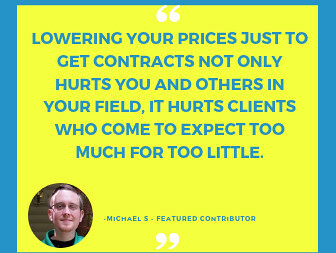 After all if I bring my clients over they could try one of my competitors that charges less or they could hire freelancers for other service types than what I do for them, that would make you money but for me it's nothing but a risk. An affiliate program would offset the risk, until then I will not ask my clients found directly to come over to upwork to hire me, I will keep sending them invoices instead. I am sure there are other freelancers in the same situation. Agreed! Would love to be able to promote my favorite freelancers through an affiliate marketing program. Everyone wins. Please promote us to all of your friends and connections so we can make more money. We will be keeping all of the money, by the way, since we don't value the service you are providing be sending us more clients. Thank you for the free leads. Like several others here, I have the desire to promote a service that I use, but when that service is a paid service, and I have expenses connected with providing my service (of driving traffic to other services), then I expect to be paid for my service. If not, then I will promote another service provider instead of Upwork. And if I am promoting someone else..... It would make sense that I am using them as well. It's a costly mistake not to have an affiliate program in today's Ecommerce economy. There is a certain purity to the way Upwork works currently. Clients can find freelancers to work for them. 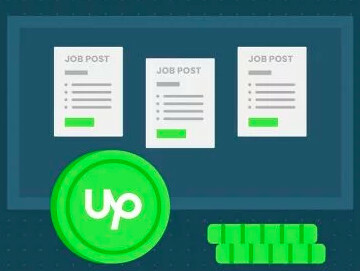 If the freelancers get hired and earn money, a percentage of their earnings are kept by Upwork as a fee. If clients hire freelancers to do work, then clients pay those freelancers. Otherwise, clients pay nothing. That's REALLY elegant, and REALLY clean. It means there are no "gimmicks." I'm not saying that an affiliate program HAS to be gnarly and gimmicky. But I am saying that right now, there are no tricks or gimmicks or hidden fees or questionable motives. It's not a pyramid scheme. Upwork and its freelancers aren't making money by getting clicks or simply by funnelling people here. Work, get paid. Don't work, don't pay. There's much to appreciate about this. Thanks Upwork for the ongoing updates about the status of the affiliate program. We've been asked about your program and will be providing updates on when/if the program launches on our Upwork page. 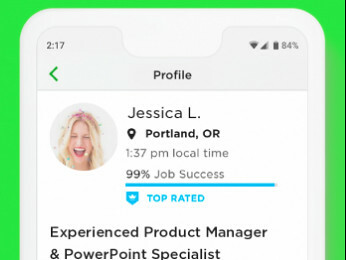 Upwork needs more clients not freelancers. As an employer on Upwork since oDesk days and running an agency I constantly promote Upwork. Now I am looking to other platforms to promote because Upwork is slow to the market. At least start one for client referrals which will generate more income for you. We don't want to bring our own freelancers and you are already overloaded with freelancers. Any chance you can put this forward to your Executive team for a definitive answer? We appreciate your feedback, Charmaine. We've recently added a couple of programs that encourage freelancers to bring their clients on Upwork. If any new programs are added, we'll make sure to notify the users. Thank you.